Russia’s justice minister has claimed officials can’t find any LGBT people in Chechnya after it was alleged they were being kidnapped, tortured and beaten by security forces. Alexander Konovalov told United Nations representatives on Monday that Russia had undertaken an investigation after shocking allegations emerged last year. 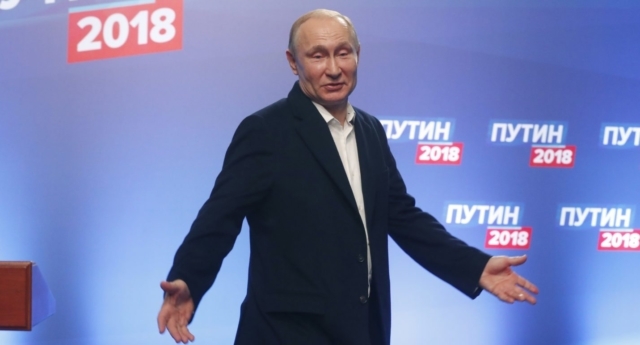 A report in Novaya Gazeta, a Russian newspaper known for its outspoken criticism of political leaders, claimed members of the LGBT community were regularly targeted for their sexuality. The Chechen leader, Ramzan Kadyrov, dismissed the allegations, insisting that there were no homosexuals in the southern Russian republic. Speaking before a working group of the UN’s Human Rights Council, Konovalov said officials had taken the allegations seriously and looked into them. Canada, Germany, France and Belgium are among countries to have granted asylum to LGBT Chechens on the basis they faced persecution if they stayed. Last month, Igor Kochetkov, the head of the Russian LGBT Network, told Novaya Gazeta his organisation had assisted 114 people from Chechnya who said they had been discriminated against. LGBT groups claimed that at least 200 gay people were held in secret prisons where they were tortured and beaten. At least 26 were said to have been killed. The claims sparked protests around the world as activists demanded a full investigation. Chechnya, a mainly Muslim region bordering Georgia, is home to an estimated 1.4 million people, many of whom are deeply hostile towards LGBT people. Marko, a Chechen in her early 20s, told the BBC last month she would never forget the day her family discovered she was gay.